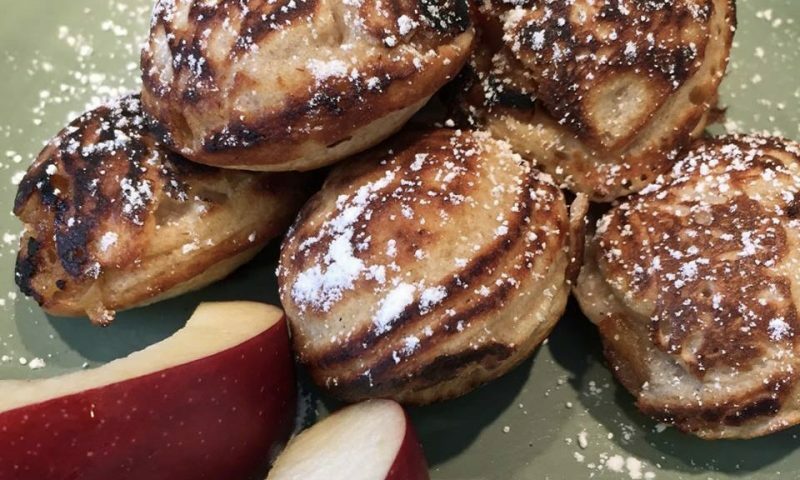 The Aebleskiver is a traditional Danish dessert kind of like doughnut holes only sweeter. 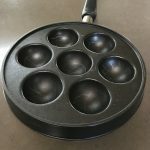 The Aebleskiver is cooked in a cast iron pan that resembles an egg poacher. A symbol of community and hospitality, they are very popular at Scandinavian charity and open-air events. And well received at the Old Parkdale Inn breakfast table, located in one of the largest apple and pear grower regions in Oregon. In a clean glass or metal bowl, beat the egg whites with an electric mixer until they can hold a stiff peak. Set aside. Mix together the flour, baking powder, salt, baking soda, sugar, egg yolks, melted butter and buttermilk at one time and beat until smooth. Gently fold in the egg whites last. Place the Aebleskiver pan on your stove top. Turn on the heat. The innkeeper brushes each cup with some melted butter and gets it nice and hot. Pour about a tablespoon of the batter into each cup. Here’s where you can add a dab of jam, apple butter, chocolate chips, finely chopped apples, maybe a banana slice. Use your imagination. Cover the filling with about another tablespoon of batter and as soon as they get bubbly around the edge turn them quickly. A fork or chopsticks work good for this. Once the second side has cooked she rolls them in the cup to keep it from burning. Dust with Powdered Sugar or glaze and serve with maple syrup and jam.